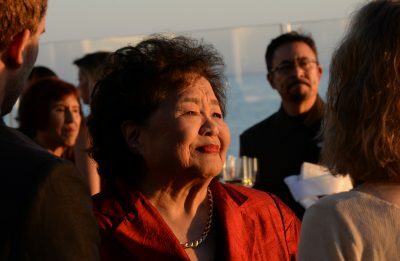 On Sunday, Setsuko Nakamura Thurlow will receive the Nobel Peace Prize on behalf of the International Campaign to Abolish Nuclear Weapons. About five months later, she will be University of Lynchburg’s Commencement speaker. Thurlow, a 1955 graduate of University of Lynchburg, will deliver a Commencement address to the Class of 2018 on May 12. The Nobel Peace Prize ceremony will be streamed live on nobelprize.org beginning at about 6:50 a.m. Eastern Time on Sunday, December 10.